Cheers to spring from our family to yours! Admittedly, it doesn't really feel like spring on the farm. The cold temperatures are holding the fruit plants back which means we are still several weeks away from blooming trees. My husband is happy about that because a cool start to spring advances the plants gradually and means a lower risk of frost damage to the blooms. I, on the other hand, have ants in my pants for spring to get here ASAP! Anybody with me? I cannot wait to start planting herbs and perennials around my garden. Come on sunshine and 60's... where are you? So, what else is there to do when there is still a chill in the spring air? 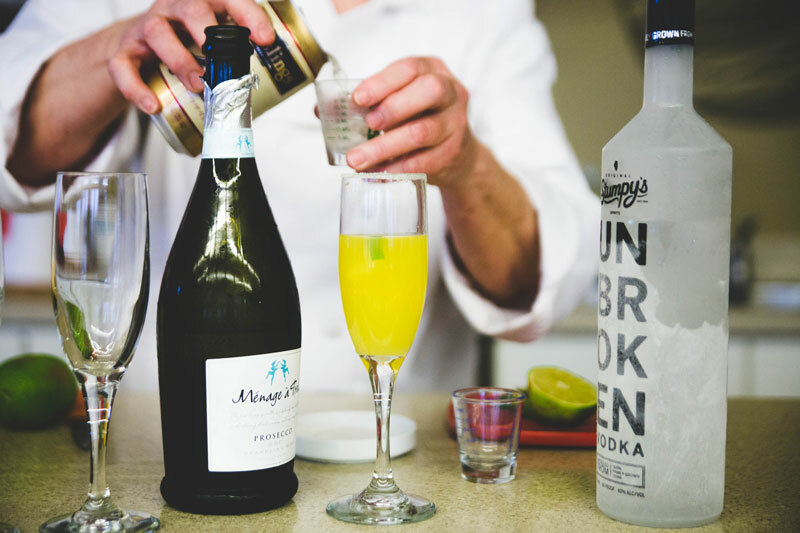 Mix a fun drink and dream about warmer days ahead on the patio. 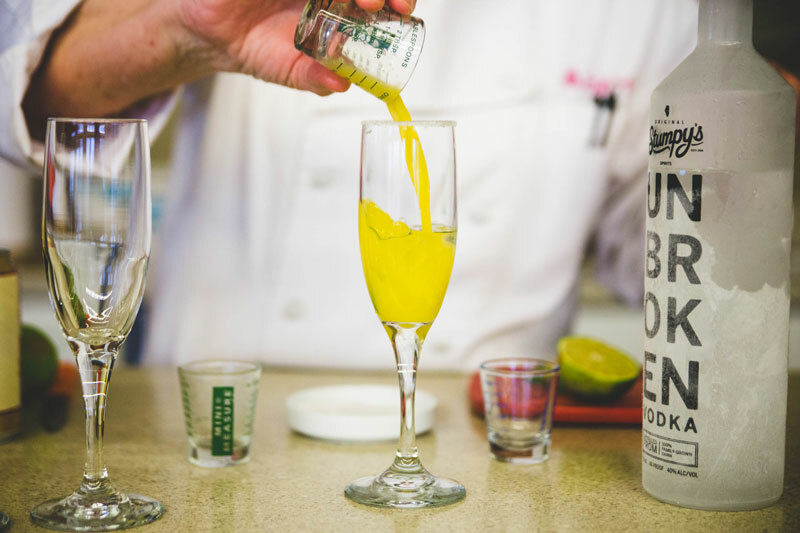 We recently featured this drink recipe for Moscow Mule Mimosas in a cooking class and it was a big hit. The students enjoyed the "local" combination of Eckert's Apple Cider and Stumpy's Spirits from Columbia, IL. Be sure to check them out if you are local. 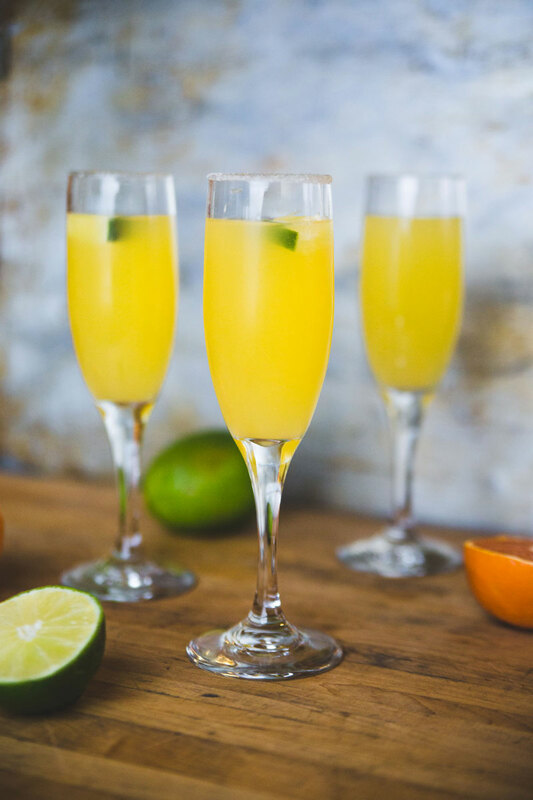 The Eckert family enjoys Moscow Mules at gatherings from time to time which is why I will be serving these mimosas for our family Easter brunch this year on the farm. I can't wait to hear what the 21+ crowd thinks of this fun concoction! In a 6 oz flute, layer vodka, cider and ginger beer. Fill the flute with Prosecco. 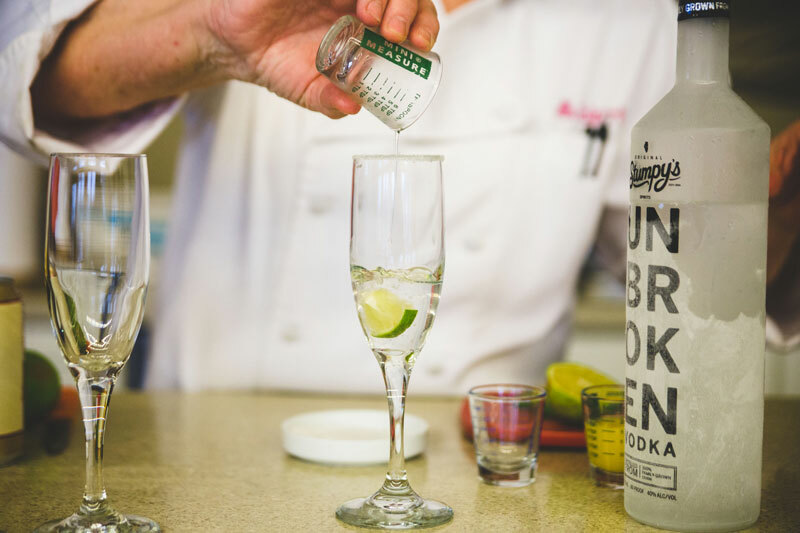 Note - For best results chill the ingredients; the vodka should be at 0°F (in the freezer for at least 8 hours); the cider, ginger beer and Prosecco should be at 40°F (in the refrigerator for at least 4 hours).